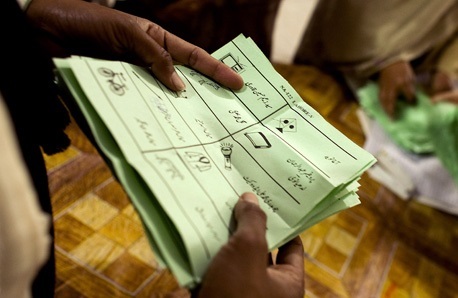 The Pak Sarzameen Party on Saturday moved Sindh High Court (SHC) for the counting of votes at all polling stations of Karachi’s national and provincial assemblies’ constituencies in the July 25 general elections. The petition was filed by PSP Karachi division head Asif Husnain, the PSP submitted that the Election Commission of Pakistan (ECP) in which it was maintained that the district returning officers and returning officers failed to conduct fair and transparent elections in Karachi. The petitioner’s counsel, Hasan Sabir, submitted that returning officers and presiding officers failed to comply with the mandatory requirements of the Election Act of 2017 and other election rules as polling agents were not allowed to observe the vote counts and presiding officers did not prepare the results of the ballot paper counts in the presence of the polling agents of the candidates. The counsel stated that presiding officers did not affix the result of the counts at polling stations and form 45 and 46 were not provided to the polling agents of the candidates. He submitted that various provisions of the Election Act 2017 and rules had been ignored and procedure prescribed therein had not been followed. The court was requested to declare that the vote counting proceedings in all polling stations of Karachi were illegal and in violation of the election laws, and to direct the ECP to hold re-polling in the national and provincial assembly constituencies of Karachi. The PSP also sought the removal of the ECP officials from their posts as they failed to perform their duties in accordance with the election laws.